Today was the last day of shooting here in the Black Hills. The week ended kinda like it started, with a drive around the wildlife loop. The great thing about this loop is the fence line that plays host to a number of bird species that we have been fortunate to play with this week. 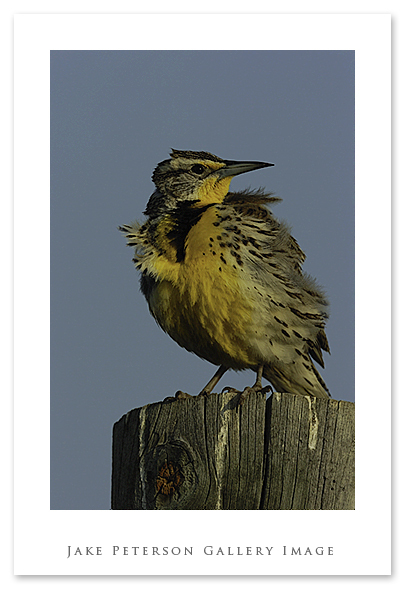 The Meadowlark and Mountain Blue Birds were definitely one of the more enjoyable subjects to play with. The Meadowlarks have such a color that cannot be missed nor should it be ignored. Later down the road we found the Pronghorn and Bison that the park is just known for having. This trip showed just how much fun it was to get big game in the eye of the long glass. 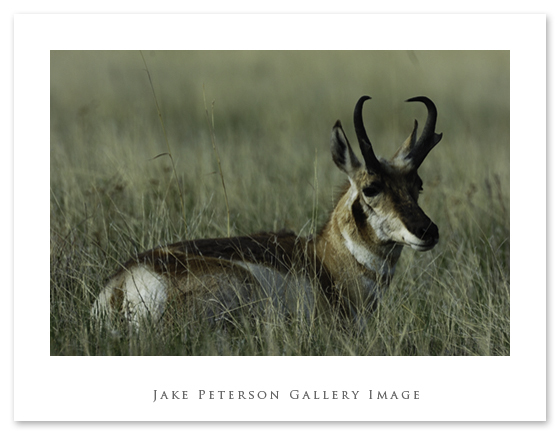 Especailly the Pronghorn, before this trip i had no great archive of shots, now i do. It amazes me how one week of shooting this species can be so moving. There’s more to shoot and far more to see but not this trip.